At Enterprise Tool & Design, we are known for expert precision manufacturing of customized engineered extrusion dies for rubber & plastic injection molds that meet our customers’ exact specifications time and time again. 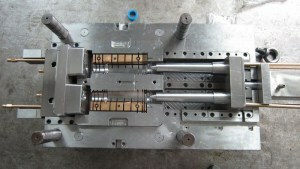 Our decades of innovative design and manufacturing expertise, along with our state-of-the art, cutting-edge technology make us a true leader in providing top-quality solid, semi-hollow and hollow dies to service multiple industries that use rubber and plastic injection molds to create their products. We have the latest design software and 5th Axis machines on site, allowing us even further precision and flexibility with your designs. Call Us Today at 262-679-8665 or Contact Us Here to find out more about how Enterprise Tool & Design can engineer the perfect extrusion die to meet the demands of your production.